Having a memorable and favorable personal brand is crucial to your career success. 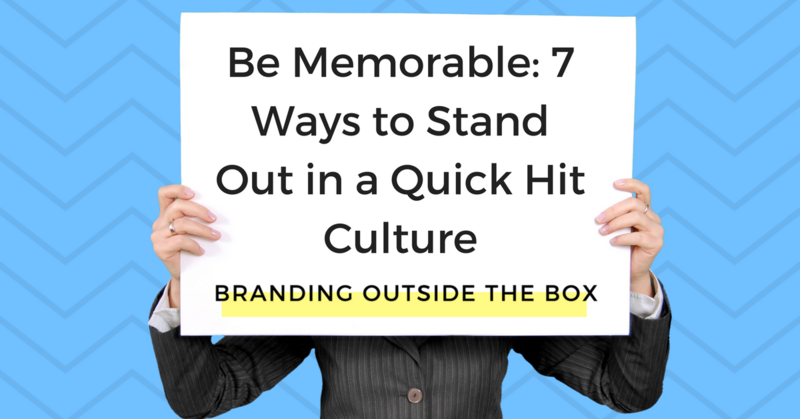 A personal brand is the key difference between being unremarkable and being unforgettable. Once you’ve created your tagline and brand summary using your Personal Brand worksheet, you’re ready to convey your brand message to the world. Go to a networking event. Whether in-person or online, networking events are the fastest way to make real connections, convey your message, and test-drive your tagline. When you tell someone who you are and what you do, in real time, it’s easier to gauge whether your message is resonating with them, or if they’re dozing off. Write something. Online platforms like Inc., BuzzFeed, and Bustle are constantly seeking new content. They need to “feed the beast” to keep up with SEO and social media marketing. They don’t pay, but unlike a lot of blogs and other platforms, they don’t make you pay either. Writing a piece of content centered on your brand and publishing it on one of these high traffic websites will convey your message to a new (and large) audience. #PressRecord. I had the pleasure of meeting 2Market Media founder Hank Norman this year and his message is focused on Star Power and how everyone holds the ability to spread their brand message…through their phone. His #PressRecord campaign challenges people to use video content to communicate with their audience on a regular basis. Through YouTube, Instagram Stories, and Facebook Live, we can easily establish our brands and grow our audiences; you just have to press record. Create a Social Media Campaign. Just as Hank did with his #PressRecord campaign, you too can create a hashtag or other movement centered on your brand. Earlier this year, I launched the #15SecBrandChallenge which encouraged people to introduce themselves and their brand in under 15 seconds (the length of an Instagram story). If you have a key message – empowering working moms, eating clean, saving for retirement, etc. – create a social media campaign around that message and encourage people in your network to share. Cross-pollinate audiences. You have an audience, your contacts have audiences, what would happen if you all cross-pollinated those audiences? I frequently team up with people in my network for newsletter cross-promotion (they feature me in their newsletter, I feature them in mine), joint-webinars, and other collaborations that bring audiences together. Look at the people in your network who may be doing different things or offering different services, but who serve the same type of person as you. Then think of a way to collaborate on an offering or project that would appeal to both your audiences, and promote away! Pitch your local media. If you are an expert in your field and can offer timely, relevant content, I recommend offering your services to local TV stations, radio shows, and print publications. If you’re pitching TV and radio, it can be as easy as sending an email to the producer and linking to previous media appearances or speaking gigs. If you’re pitching print media, you may need press materials or a one-sheeter outlining the topics you can talk about. Just like pitching guest articles to websites, you are helping them just as much as they’re helping you. They have airtime to fill and you can be the one to fill it. Send a newsletter. The easiest and most straightforward way to convey your brand message is to deliver it straight to a person’s inbox. It may be a single email outlining who you are, what you do, and why they should care, or a series of emails sharing your experiences and expertise. 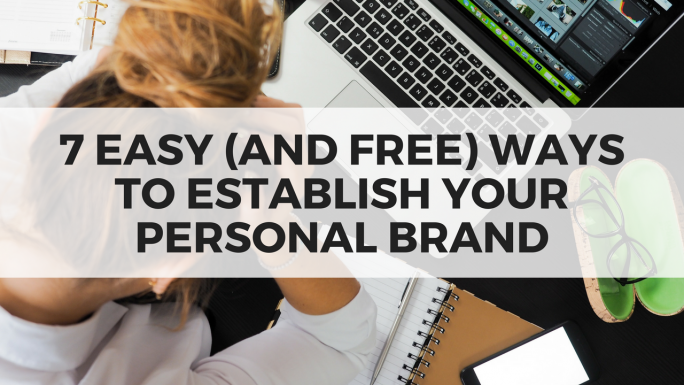 Establishing your personal brand doesn’t have to cost you thousands of dollars and you don’t have to spend hundreds of hours to do it. With the right strategy, a little time, and a lot of focus, you can successfully convey your brand message to people all over the world. Good ideas. I’ve heard of some of them. I don’t see any video, where the video? 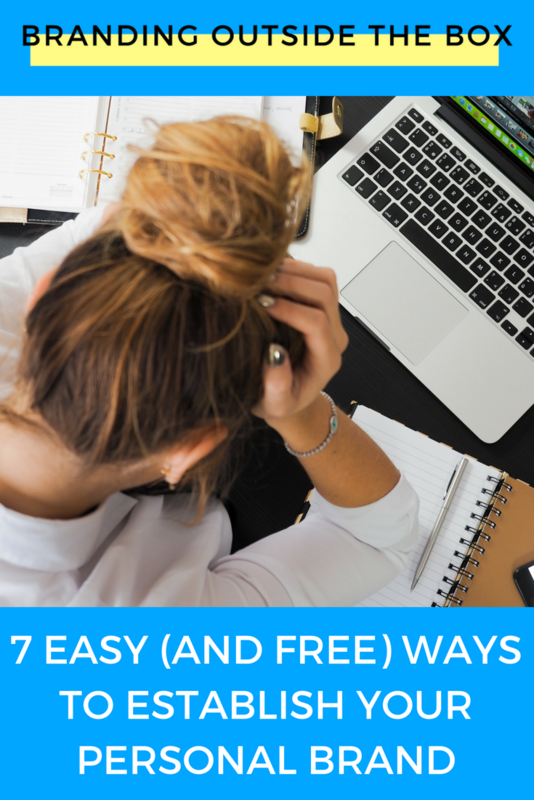 Sign up to receive your personal brand worksheet and other free resources. Enter your name and email to join the FREE personal brand challenge!